Jeez... there are players that can't even correctly take slapshots in this game due to use error? It's one of the easiest things to do for crying out loud. Santini3 I have never had an issue taking slapshots until now, like I said previously I can take them flawlessly on other ps4's its only an issue on mine. I was playing in div 3 nhl17 hut, so it's not like I am an inexperienced player, there is an issue that is not a human error. I see. That's really strange. And you don't think it's a controller issue? Somebody posted a better video of this, showing he was hitting the correct spot on his controller, but no shot would come out. The circle would even turn GREEN, showing the game detected the input correctly, but it wasn't executing it. I had my friend bring over 2 different controllers and none of them made a difference, so I think it's safe to assume it is not the controller, but I still cannot think of any other possible reasons for why the slap shot is being executed. I hope ea has a solution. I do not know if this bit of information helps the case, but this slap shot bug was also present for me in the beta when it was out, but I did not think much of it because I thought the beta would have glitches here and there. And it wasn't determined in that case that he was clicking the RS in? The cases we heard about were if you click the RS in, it won't take the slapshot and then in this case, he said he isn't pressing the RS in but isn't hitting the right spot. If there is a third issue, it hasn't been reported yet and/or verified. We would just need more info and examples so that we can reproduce on our side. I see. I know it happened last night with my club, but when I went to the action tracker I couldn't find the instance because it didn't record the shot (since it wasn't taken). I'll try to keep an eye on it in the immediate future and get a clip for you. Unfortunately we won't know from the clip if they pressed R3 or not. Best we can do is ask someone that gets the issue to try it in practice mode paying close attention to what they are doing to narrow it down. Bacon was having issues and then posted on youtube that once he made sure he was no longer pushing in the RS as he tried to hit one timers, that he didn't have issues anymore. Right now, I assume that is what people are running into, but can't be positive. Short question from me: First of all I wrote it could be my own inaccurance which doesnt bring out slap shots. 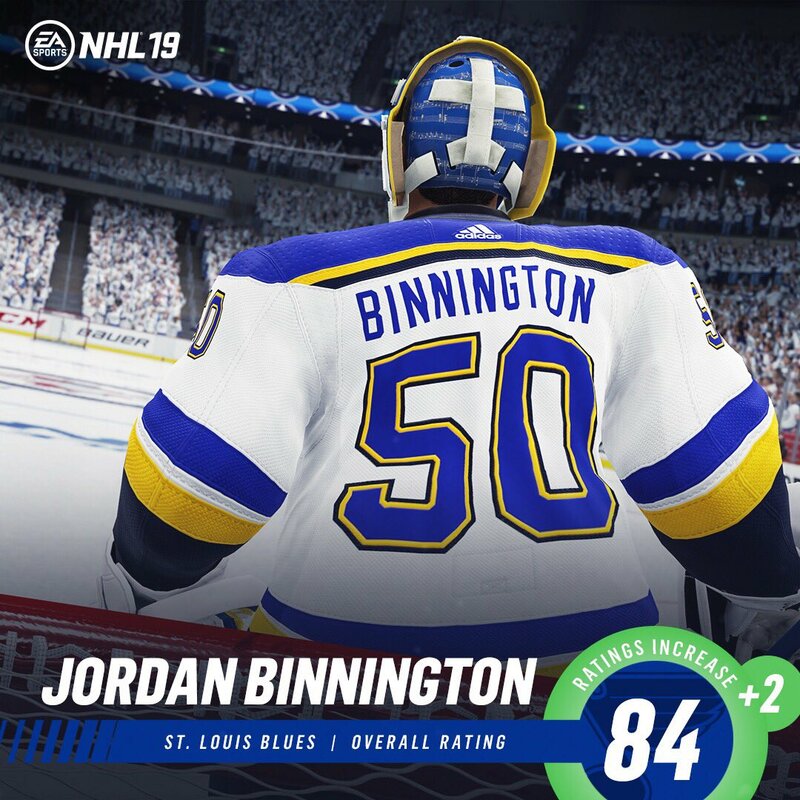 Did EA change/reduce the area for pushing up to execute a slap shot? I turned on NHL 17 and was hitting each shot I tried. Do I have to play more accurate in 18? I 100% feel like the area to execute a slapshot was definetly reduced. it is way easier in NHL 17 to execute slap shots and especially one timers. They should move the puck chop to another button or something. If they made clicking in the RS do nothing then shooting wouldn't be a problem. Would't it be just easier to ignore RS clicking when your player has stick up high ready to take slap shot? He isn't going to chop puck in the air so why RS clicking needs to be registered in the first place? In asking if that is what may be happening, I am not saying that it should happen. Just trying to figure out the issue. It may be an issue we have that could be improved by doing something similar to what you are saying. Not allowing the chop puck state interrupt when you are already in slapshot windup (if that is indeed what is happening -- haven't seen results on debug cases yet). Here's a couple of clips of the issue I was able to grab. In this 1st one I immediately hit UP on the shot stick as soon as I received the puck. No shot is initiated. 2nd clip is much like the first, I'm holding UP as soon as I receive the puck, but nothing happens. I release and shoot again, this time it works. Last clip, winger passes to the center who is holding up as he receives the puck. Again no shot is initiated. It looks like he wasn't exactly in the middle of the "shot zone", but he was just at the edge, shot still should've happened, IMO. The first two clips were me playing HUT challenges, the last one is from an EASHL club game with my buddies. I asked the shooter in the 3rd clip if he had been perhaps clicking down on the RS by mistake, and he assures me he wasn't (I tend to believe him as he's been playing NHL with us for close to 8 years). I know I wasn't clicking down on RS either. Thanks. Will pass these on. There may be something to do with an exact frame issue where if you press up on the exact first frame he starts a pickup or something that there is a conflict. In the last video, it would probably more to do with the fact that he missed the range at first but not sure why it didn't transition to a shot as he rolled in. and yes i did push up first.. Thanks. Looking at the video, in this case it seems you were pressing up after the puck was received which will create a slight difference. As he did initiate a wrist shot, technically as requested. this is still happening, i really hope this is fixed soon, as playing downward is becoming useless. as you can see the one timer fails, but going upward it works fine. It is hard to tell what is going on without controller vis. We have been unable to repro this locally. Are you certain you have your settings set as you expect (either Camera Relative or Always Up) and that you aren't clicking in the RS when you attempt to shoot? And to be sure, are you definitely using skill stick controls? Or is there something else we are missing in your setup?